Based out of Bright in Victoria's High Country, this event is a celebration of women's cycling with a focus on fun, fitness, friendship and bike gains, in a unique alpine environment. Defined by their love for exploring the open road on two wheels, women cyclists will come together to share knowledge, build confidence, push boundaries and find new limits. It will deliver bucket-list worthy moments; opportunities to explore new riding destinations with new friends, as well as connect with the local cycling community. 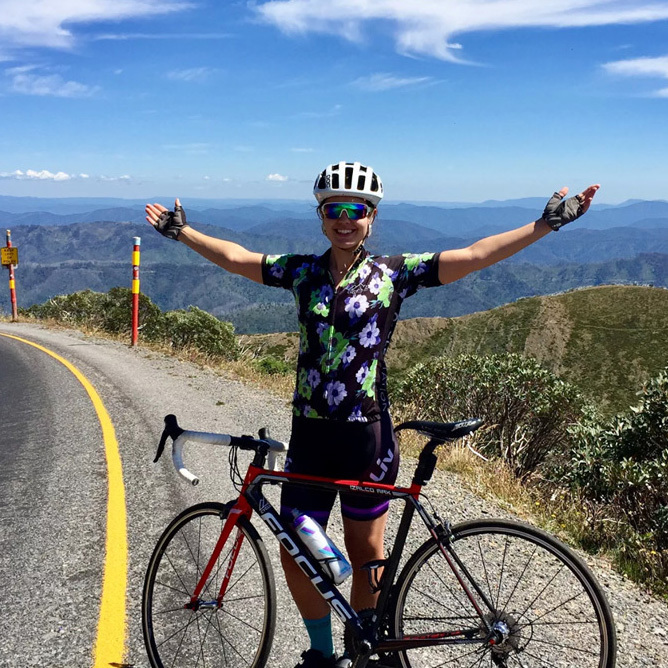 Share in the joy of mountain riding with other women cyclists, on this supported ride (72km return) from Bright to Mt Buffalo Chalet. 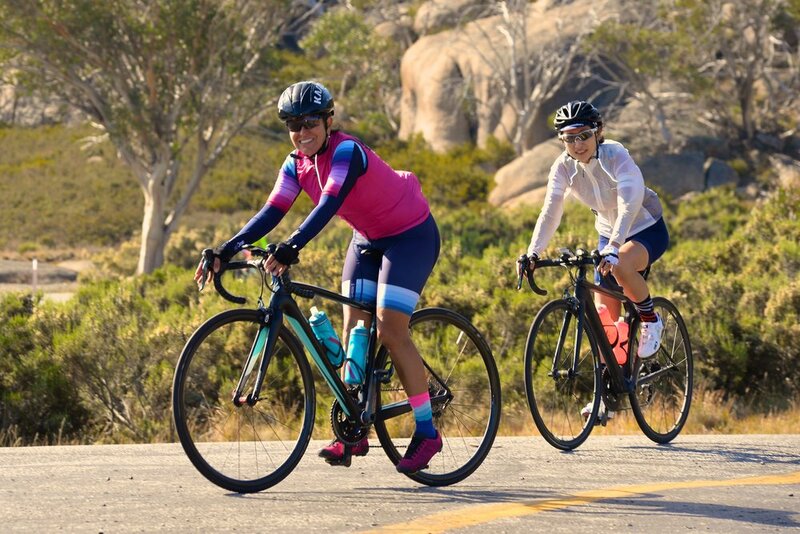 A perfect balance of steady gradients, imposing granite tors, waterfalls, snowgums and knockout vistas, the ride up Buffalo delivers so many ‘woo hoo’ moments, the legs will forgive you. Buffalo is a challenging climb that demands strength and fitness from the rider, but it’s about your peak at your pace…finding your own rhythm and place in the mountain. Our Experienced Ride Ambassadors will provide lead-out support, riding tips and encouragement along the course. Detailed planning, traffic management and safety protocols, will together ensure a safe, exhilarating and enjoyable experience for all riders. This super fun weekend pedalling adventure, is not just about cycling! There will be plenty of foodie goodness plus post-ride pleasures of great coffee, wine, beer and brags – that’s a promise! We’ll enjoy ride recovery and reward with after parties at the Bright Brewery Festival Hub & Celebration Dinner. We’ll get technical with mechanics workshops, bike skills sessions and bring your own mat yoga classes and the cycle fashionistas will love Fondo, Champion System Australia, Dink Design and Velo Depot's pop-up stores. And the best bit? We’re going to enjoy all of this against the backdrop of Victoria’s sensational High Country. Crisp air, magnificent rolling mountains, deep valleys and pristine national parks... all for our riding pleasure.